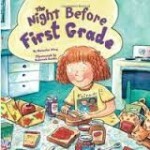 Congratulations to Wuachita Crawford for winning the FIRST $100 TpT Gift Certificate! Congratulations to Custom Teaching Solutions, LLC for winning the SECOND $100 TpT Gift Certificate! 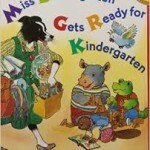 Congratulations to MrsQuimbyReads for winning the THIRD $100 TpT Gift Certificate! 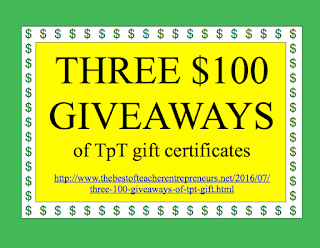 The Best of Teacher Entrepreneurs Marketing Cooperative always has our THREE $100 GIVEAWAYS of TpT Gift Certificates before the TpT Sitewide Sales and TpT Conferences. We also have $100 CA$H Giveaways and other promotions. 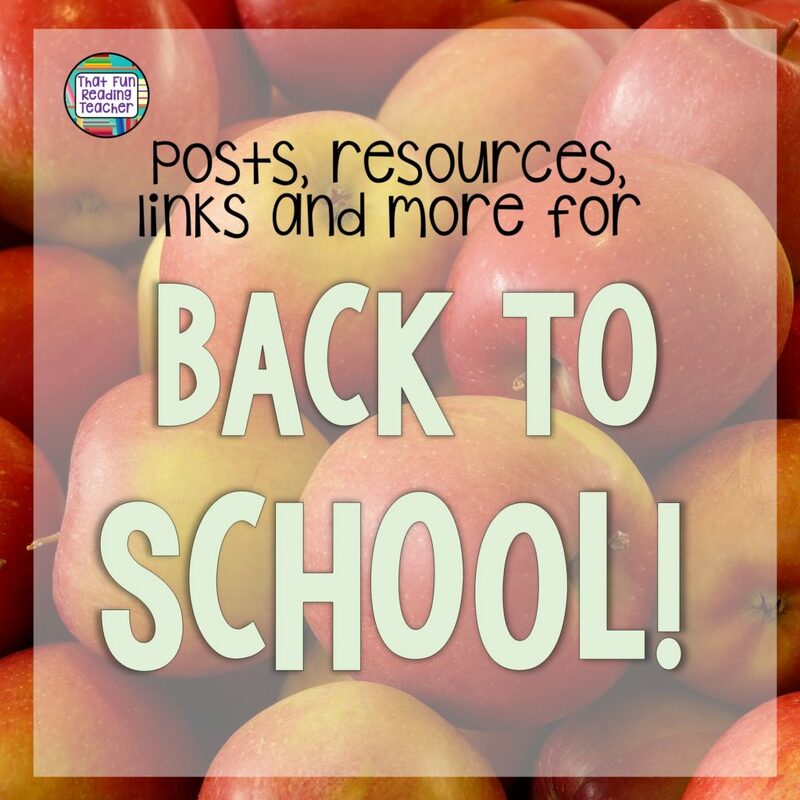 Complete the Rafflecopter Contest Application at the bottom of this post to enter to win the FIRST $100 GIVEAWAY of a TpT Gift Certificate. 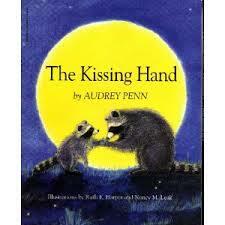 Click on the link, A RAFFLECOPTER GIVEAWAY, located under “BETTER ODDS THAN VEGAS!!! ” to earn the raffle ticket entries. (You may have to wait a minute for it to appear on your computer.) 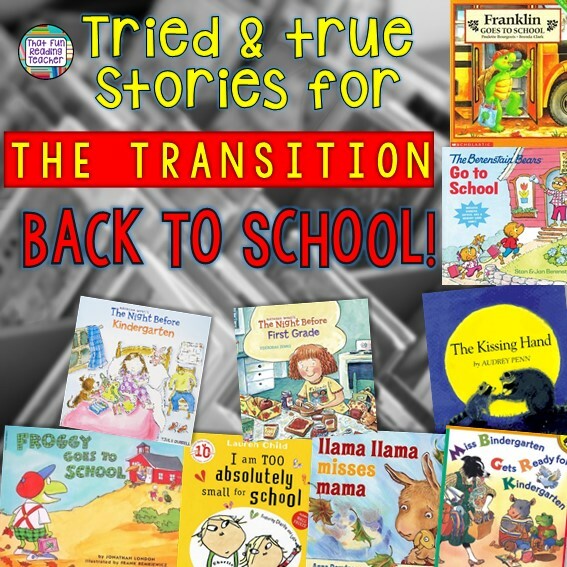 The FIRST $100 GIVEAWAY of a TpT Gift Certificate will end at 11:00 P.M. on August 24, 2016 Pacific Time. Earn a chance to have 10 bonus entries by clicking the “Bring your friends!” button and share this giveaway with your friends. All new members and members who have renewed their membership in The Best of Teacher Entrepreneurs Marketing Cooperative from June 7, 2016 – September 7, 2016 at 11:00 P.M. Pacific Time will be entered to win the SECOND $100 TpT Gift Certificate. What teacher wants to spend the time between Thanksgiving and Christmas break lesson planning meaningful, engaging activities? We want to sit back and just make it to break without going gray. This year, I want to help with that goal. These are my favorite low-prep technology-integrated activities that will impress your administrators without causing you one bit of stress. 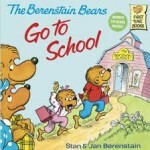 This complete unit is great for upper elementary students. 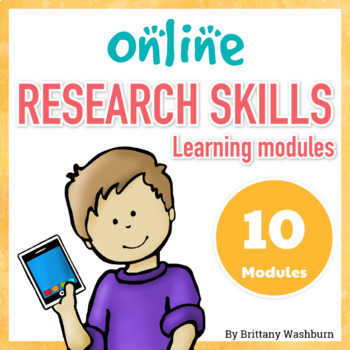 Each concept has an instructional video and foldable activity for an interactive notebook. 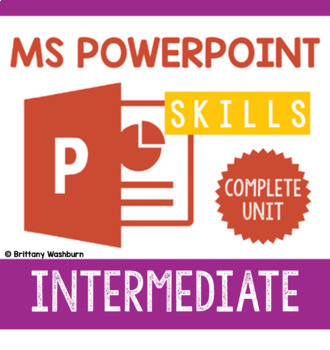 The best part is that by the time your students have had all 14 lessons, they will be able to create the most incredible PowerPoint presentations without any of your help. 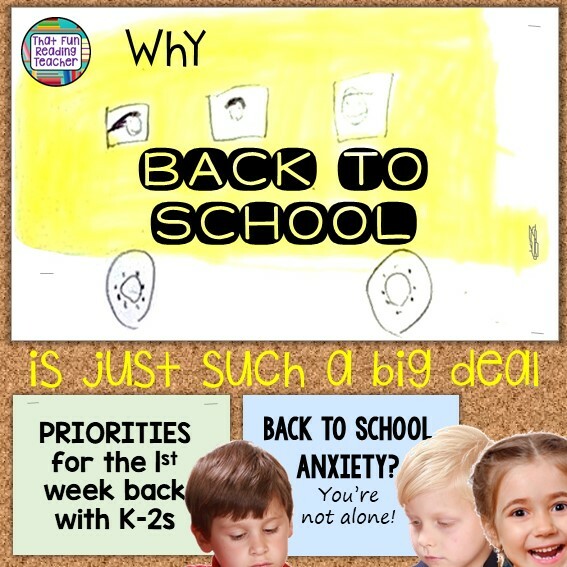 Imagine how impressed their classroom teachers will be if you send them back with the ability to make a professional presentation without asking for help along the way! 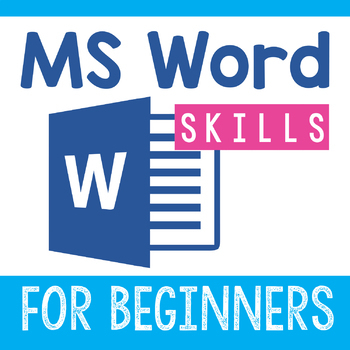 For your youngest students, teach them Microsoft Word skills with these instructional videos and Word templates. It will require your students to be readers so that they can follow simple text directions. 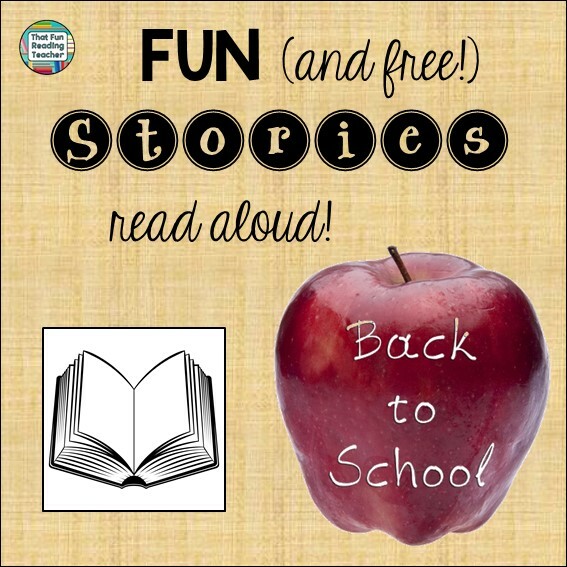 I do these lessons with late first grade or beginning 2nd graders (sometimes both, depending on the group of students and their skill retention). Also note that I have similar units for PowerPoint and Excel. I don’t know about how it is at your school, but this time of year when the technology breaks (projectors, laptops, iPads, etc.) teachers freak out. That is why I developed units that require very little of my input. I am always being pulled out of my classroom to go fix something. When a TA or a teacher has to trade places with me, I can walk away confidently because I know my students won’t need much help. 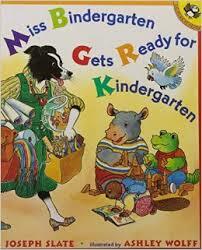 These also make great substitute plans. 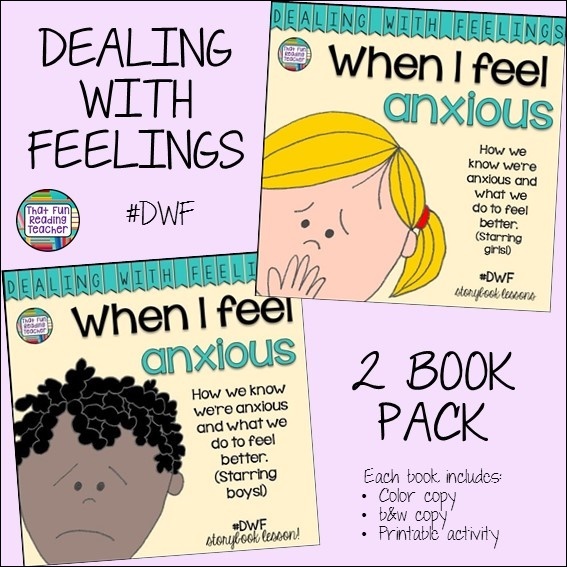 Last school year I had to be out for a week unexpectedly, and it was so stress-free because I just used a unit like these for each grade level. p.s. Since I want this to be the best holiday season ever, I’m giving you an opportunity to win some money! Enter the giveaway below. Complete the Rafflecopter Contest Application at the bottom of this post to enter to win the FIRST $100 GIVEAWAY of a TpT Gift Certificate. Click on the link, A RAFFLECOPTER GIVEAWAY, located under “BETTER ODDS THAN VEGAS!!! ” to earn the raffle ticket entries. (You may have to wait a minute for it to appear on your computer.) The FIRST $100 GIVEAWAY of a TpT Gift Certificate will end at 11:00 P.M. on December 21, 2015 Pacific Time. 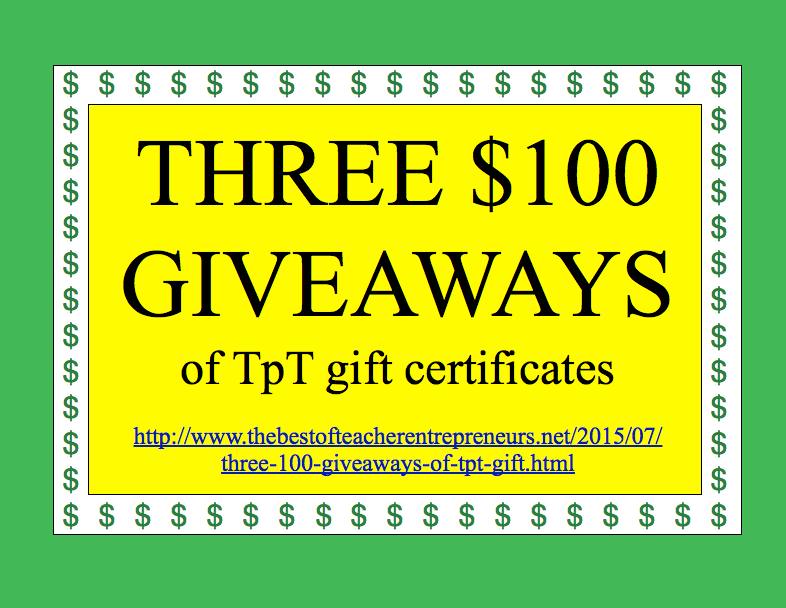 All new members and members who have renewed their membership in The Best of Teacher Entrepreneurs Marketing Cooperative from August 8, 2015 – December 28, 2015 at 11:00 P.M. Pacific Time will be entered to win the SECOND $100 TpT Gift Certificate. 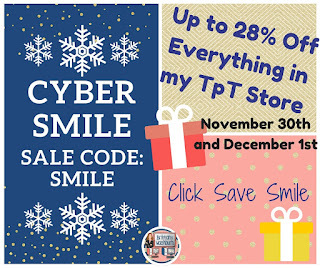 SECOND $100 TpT Gift Certificate! Congratulations to Daniel Ackland for winning the THIRD $100 TpT Gift Certificate! http://www.thebestofteacherentrepreneursmarketingcooperative.com/2014/01/the-best-of-teacher-entrepreneurs.html and get THOUSANDS OF PAGE VIEWS for your TpT products! 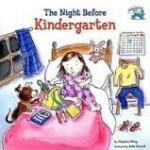 Congratulations to Rebecca for winning the FIRST $100 TpT Gift Certificate! 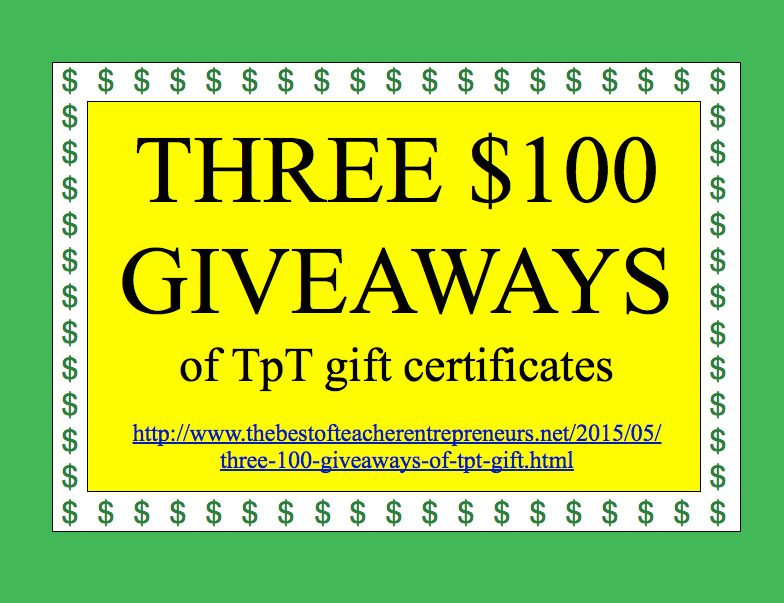 All new members and members who have renewed their membership in The Best of Teacher Entrepreneurs Marketing Cooperative from March 24, 2015 – June 1, 2015 at 11:00 P.M. Pacific Time will be entered to win the SECOND $100 TpT Gift Certificate. The Best of Teacher Entrepreneurs Marketing Cooperative may no longer be sold at TeachersPayTeachers.com because it is more of a “marketing service and not an educational resource.” You may purchase the $50 annual membership to TBOTEMC at http://www.thebestofteacherentrepreneursmarketingcooperative.com/2014/01/the-best-of-teacher-entrepreneurs.html. All members of The Best of Teacher Entrepreneurs Marketing Cooperative will automatically be entered to win the THIRD $100 TpT Gift Certificate on June 1, 2015. 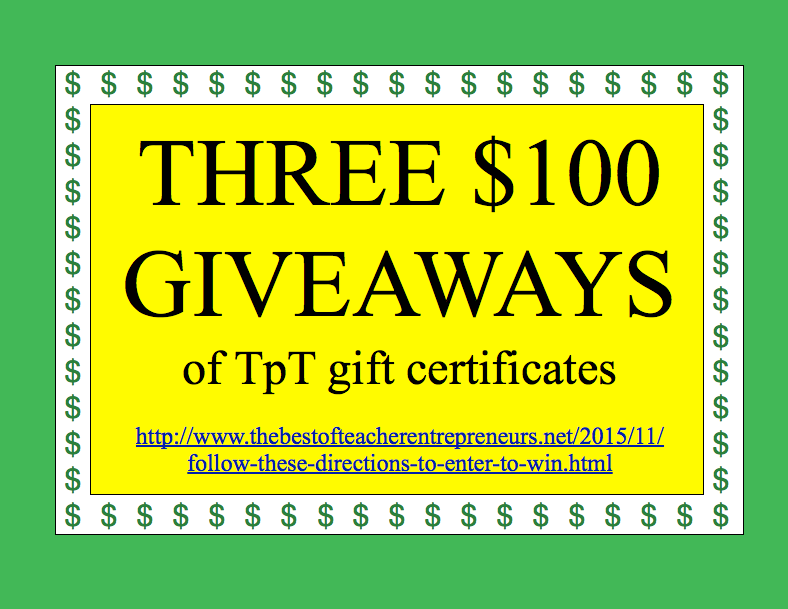 The three winners will be announced at my blog, The Best of Teacher Entrepreneurs – http://www.thebestofteacherentrepreneurs.net.